Samsung Gives Honda Civic to Winner of Prize Offer on J-Series Mobile phones.Samsung has recently handed-over the key to a brand new Honda Civic car, to the lucky winner of its prize scheme. The global technology leader – Samsung has launched this exciting offer to reward the buyers of Samsung Galaxy J-Series Mobile Phones in Pakistan. 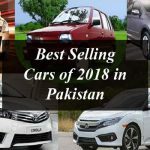 A vibrant ceremony was hosted to present the car-keys to the winner, at the Head office of Samsung’s official distributors – Airlink Communications Private Ltd., located at Al Qadeer Heights, 1-Babar Block, New Garden Town, Lahore. This high-valued prize-scheme promises to engage the Samsung fans, and the Pakistan market has given an overwhelming response to this offer. The ceremony was graced by Samsung’s senior managers, along with dignitaries and media personnel. Through this prize offer, the buyers of Samsung Galaxy J series smartphones will get opportunities to win many fabulous prizes, including; a luxury car, Smart Televisions, innovative devices and much more. As Samsung’s innovative products are created to enrich the lifestyle of consumers, Samsung has now gifted this classy Honda Civic sedan to its customers, hence adding great luxury and delightful experiences to the life of the lucky winner, while the Samsung consumer also continues to enjoy the reliability of its vast range of electronics. As this prize campaign was launched all over Pakistan, Samsung is making its customers’ life more productive, comfortable, entertaining and informed. This helps Samsung create products, services and offerings that promise to enhance living standards and ensure the consumers’ happiness.